They go further to elaborate that researching includes a systematic approach following a set of protocols developed through time. This especially applies to scientific research during which researchers hypothesize, review the literature, develop questions and then experiment to find answers. Eisenberg and Berkowitz, with their Big6 process for researching an information problem, helps us to break down the research process into skills that, like the scientific method, allow us to actively search for answers to questions. This brings me to yet something new to ponder. I’ve always been a little uncomfortable when I’ve come across the term “doing research”. Research is active. “Doing” it seems less active, less involving. IF we’re ramping up our research activities in the library and classroom, then don’t we want our description of it to define this active engagement? “It is common, and not good, in our writing and speaking, to nominalize -- which is to use nouns when we should be using the verb. Using the nouns weakens our statements. For example, "The mayor is making a decision about....." is much weaker than, "The mayor is deciding..." which is what people should use for better writing. Using strong actions is always better, and "doing research" is much weaker and less active than "researching." Boy, was I glad to read that reply . I only bring this up because as teachers of an incredibly dynamic and active process it seems like we want to describe it in the way that best exemplifies it; and by believing ourselves that this process is dynamic, we can help teachers design assignments that require this sort of investigation. As researchers, students are involved and engaged practitioners of a process of inquiry. There is no room for passive participation- each step requires students to think through their questions, evaluate possible solutions and apply them systematically as they build the new models that show their new learning. I am taking Arlene’s response to heart and applying it to the many things we do in the library – active, participatory things that deserve to shine. I left northern California just as the temperature was rising far beyond comfort level. A rare heat wave was beginning to rear its ugly head and it seemed to be the perfect time to head out of Dodge and hit the road. 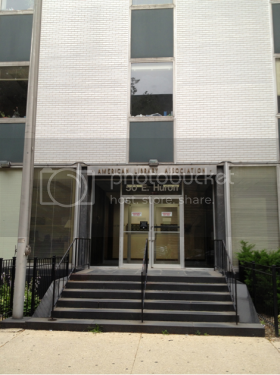 And what a fabulous discovery: Chicago was having a rare spate of cool weather – perfect timing! 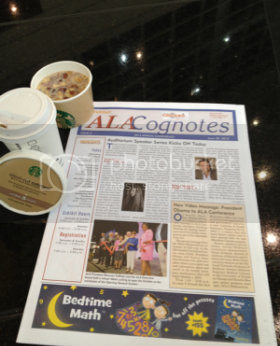 I started attending ALA conferences after I became involved in AASL. As President of the California School Library Association I attended AASL Affiliate Assembly meetings representing California. Suddenly I had friends from all over the nation, from all kinds of libraries, which led me to gather all kinds of new ideas while working together towards shared goals. Moving to the AASL legislation committee brought even more satisfaction working together to mitigate the many obstacles that challenge us in bringing legislative action on behalf of school kids and their access to strong school libraries. So it was with a light heart and easy step towards the hotel shuttle buses that I left my hotel and on the way discovered that I was staying on the same street at the ALA office. What better way to start the conference weekend than to pay homage to the building that houses our association? Conference karma was gearing up for greatness. A brief breakfast whilst reading the news of the day truly brings a sense of wonder. There are so many activities – The President’s Program, the Opening General Session, Divisions and committee meetings…storytelling, author speakers, awards, and more conversations both within programs and sitting about in cafes, hotel lobbies and on the floor outside the exhibit hall. Fortified, informed and ready to go – a trip to the exhibit hall for a first “goaround” is warranted right at the start. 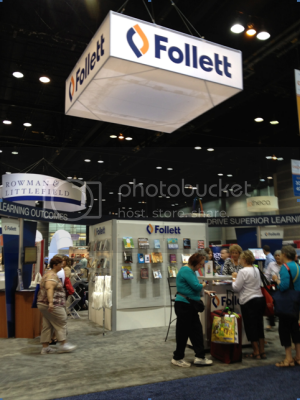 A stop-in at the Follett booth and then onward to see the newest, latest, and greatest products our vendors have to offer. Many hours later: tired feet, brain filled to capacity, arms laden with “stuff”… it’s time to head back for well earned rest. As I write this, after two days of soaking up conference energy, I’m getting ready to leave tomorrow. I’ve stopped my packing for a few moments to reflect on how this conference has –and will – impact my library life. I have a notebook filled with new ideas, links, and things I’m going to try next school year. Business cards overflow [this year I remembered to write down action plans to follow up each of those new connections] and my suitcase is overfilled with new books to read and share. But what just caught my eye from Cognotes was the list of incredible authors and speakers: Ann Patchett, Andrews Solomon, Luis Alberto Urrea, Khaled Hosseini, Paula Poundstone…. how lucky we are to have access to such wisdom, insight and laughter. I think about why I come to this conference. I review the many events, the many conversations I had, and the people I connected with, the sessions that inform; and I think…how lucky we are to have access to such wisdom, insight, and laughter. What would an extraterrestrial being learn about us, as a culture, if, upon landing on earth, he/she (it?) were to go in search of a “library”? Utilizing the definition from any number of current sources, our non-worldly explorer would look for a building, possibly large, that had books in it. This is not the complete definition of course, since the proviso is added that materials are circulated freely to the public. Thus, stumbling into a bookstore wouldn’t bring the larger scope to the word “library”; nor would the visit to the home of a family with a living room lined with overflowing bookshelves. With frustrating frequency we hear people decry the demise of the library in the wake of the electronic information tsunami. Our alien visitor might look at the building we call “the library” and given his/her (its) most likely higher technological capacity, might agree with these outcries. But we know better. If we were to take our ET to a public or school library, we would be able to show not only books, but computers, audio and visual materials as well as any number of other interesting items to borrow. We would also point out the many activities going on: story time, group research, project creation, and civic discourse… AND we could leave this building and take our friend out to the beach, the café, the campground or to our house and still see “the library” in action as we take the books we got there with us to all of these places; as we utilize our electronic devices to read, research using our databases, or utilizing the skills taught to us by our librarians. Maybe it is time to think about how we define “library”. Because what happens IN the library has always been what the library is really about. In centuries past, libraries have been the repositories of information with patrons accessing the latest and greatest information technology of their day. From papyrus rolls to the first books printed by a press, the library has been the center of learning. It’s always been about how librarians and their colleagues have created this learning space for their patrons, gathering the best information available and organizing it for understanding and learning. What our ET would learn about our culture by walking into our libraries today is that learning is active, involved, and innovative. 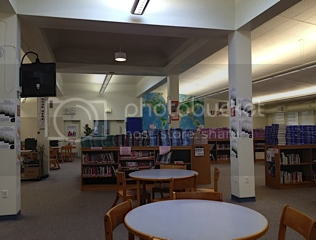 Even though school librarians have opened their doors wide and invited everyone in to experience the richness of today’s materials whether they’re in print, on film, tape or digital devices, students don’t have to physically be IN the library to participate in all that the library offers. That’s where our new definition of ‘library’ might begin to change. Yes, it’s a building, but it’s more than that- it’s the people inside (and virtual) who locate and organize materials, teach skills, and more importantly, offer the motivation and incentive for students to practice their new skills every day. Library: (1) a physical or virtual place where information and materials are stored, organized, and circulated freely. (2) a building filled with print, electronic, and other materials where people gather to imagine, re-imagine, build and dream. Please add your thoughts by commenting in the section below and let’s create! It’s a bit “old news” by now, but a study in 2009 showed that “study suggests that buying life experiences rather than material possessions leads to greater happiness for both the consumer and those around them.” And one even older, conducted in the 1970’s concluded that winners of millions of dollars, such as can be won in a lottery, were no happier than those who were far less financially successful. While I often think that I’d love to test that theory myself, I got to thinking about experiences, spending priorities and libraries. This year we had several opportunities to have guest speakers in the library. It’s not cheap to invite an author, storyteller, poet, or other speaker to come to a library to speak at anywhere from 2-4 sessions and since most libraries don’t have a huge budget – and often have no budget at all – deciding on whether or not to have a speaker come in vs. purchasing a computer can be a difficult decision. But I had such a fabulous experience reading the book “The Distance Between Us” by Reyna Grande that I knew I wanted students to hear her speak. Her book describes her life in Mexico as a child left behind by her parents seeking a better life in the United States. She endured neglect at the hand of her grandmother and lived in a world of stark poverty. She was able to overcome this childhood trauma when she herself came to the United States. I felt her story was one that would resonate with students in my school. I was right. They loved her book. Deciding to have her come to visit was easy. A few weeks later, I had been working with some history students as well as some students with an English assignment. Both assignments had all the students talking about the concepts of ‘ethos’, ‘logos’, and ‘pathos’. Some of them just weren’t “getting” the differences, much less how to apply those ‘big idea’ thoughts to their assignments. This got me to thinking about my friend Joe McHugh. Joe is a storyteller who had spoken at a California School Library Association conference a few years back, and who later came to my school to speak with students. His talk called “Slaying the Gorgon” tells the story of media, myth…and the message. In his talk he describes how the media mixes up the elements of mythos, and pathos and uses them to their advantage – and has done so down through the millennia. Using story, images, songs, and instruments, he brings these ‘big idea’ concepts to life in a way that students understand. He and his wife, Paula came to present to classes over a two-day period. At the end of each presentation, students rushed up to speak with him about some of the ideas. A few stopped him on the way out to his car to chat. His ideas sparked some discussions back in the classroom. Should I have spent my library budget on these two speakers? Certainly had I decided otherwise, I’d be two computers richer. But I have to admit, that when I saw students – lots of them – go to the shelves after hearing Reyna speak to pick up books by the Latina authors she mentioned, and when, weeks later I see them still passing those books around to each other, I got to thinking that maybe I invested in the right thing. Students today spend so much time interacting with text; either writing it or reading it. Text is good. I love text. But many students don’t get the opportunity to meet the kinds of people who are in our community doing things. “Access” isn’t always about getting to an iPAD or a computer. Access can mean that students be exposed to the rich variety of people, activities and interactions that could be available to them, and whom they might never get to know about without an introduction from educators. Many of us already book author visits. With a little thought, we can give our students far more of the world by having interesting but “ordinary” people drop by. Do experiences always have to cost money? Absolutely not. A while back when I worked in the Junior High we staged bi-monthly “brown bag lunch” experiences. Students came into the library with their lunch and community members came in to show off their talents and share their own experiences. We had a police dog come in and locate hidden things in the shelves; a make-up artist did “mini-makeovers”; a television dog came with his owner to show students fun tricks to teach their dogs; and once we had a band from the high school come in and play an hour of lunch time rock & roll. The librarian at that junior high now, Valerie, stages origami festivals and offers challenges that students can participate in. These are all fun events, easy to put on, and cost no money. Working with our local independent bookstore we get lots of YA authors on their circuit across the country. For every experience I’ve had to decide whether I could afford or not… and then did decide to “go for it” I’ve been rewarded two-fold (or more!). • Spoken word poets turned the world around for two Latino students who thought that school had nothing for them. • The actor dog brought one student into the library for the first time. • A loner, really-smart student caught a presenter’s eye one year and they chatted long after the presentation ended. 1. Citation: San Francisco State University. "Buying Experiences, Not Possessions, Leads To Greater Happiness." ScienceDaily, 17 Feb. 2009. Web. 23 Apr. 2013. “Libraries Occupy the Heart of the Occupy Movement” is the lead headline for Nov/Dec issue of American Libraries the article [p.19]. It tells the story of the library that sprang up at the Occupy Wall Street encampment as a spontaneous action on the part of some “occupiers” who donated books to entertain those living there. But it grew into a regular collection and is now being organized by librarians and library students. I don’t bring this up because of the politics of the Occupy movement but rather because I think that it’s telling that in this outdoor, politically charged, time-extended occupation, people still crave a place to unwind, study, collaborate, and relax with books and other resources. I’ve written before about the library as a ‘space’: the building in a school or a community that collects the resources together, organizes them for ease of use, and teaches it’s users how to use them. But while the space is important – in fact essential, the people who develop those spaces we call ‘library’ are the true important aspect; they’re the organizers, the developers, the administrators and instructors – as well as the folks who motivate and inspire the users of those materials. There are discussions on many librarian blogs about how the school library profession needs to change- and change soon – before it dies all together. Among the suggestions are those that suggest that the librarian need not be located in a physical space, and perhaps he/she wanders the school teaching in classrooms or virtually by way of a computer or other online device. But I contend that the space – the building, the closet, the little trailer in the school parking lot – that is called ‘library’ by those who attend the school - is still the most important classroom in that school. It’s the place where people gather: kids come in and out all day, administrators hold faculty meetings there, teachers congregate to collaborate, research or just drop in for a chat. The librarian, with help from a clerical assistant, organizes that space to include all the many ways that kids, teachers and administrators learn and use materials and information. Our library space is often noisy and crowded; full of kids doing a wide variety of things- yes, even including studying. When I ask them why they come instead of heading out to the local donut shop or other places they could be going at lunch time, they say things like “I don’t know, it’s comfortable here or “It’s a good place to get my work done instead of later at home.” I’ve also heard “My friends are here doing homework so I figure I’ll do mine now too”. Since I’ve added a jigsaw puzzle to the mix of other activities available in our library, several kids have decided to spend their lunchtime hanging out and putting it together. People like to congregate and people like to “make a library”. When I go to a friend’s cabin in the Sierras, there’s a library of books, computers and magazines located in the main lodge. In the Senior Center, there’s a library and even in most of the local coffee joints… yep, you guessed it – a library. People like to make a set-apart space for reading, contemplating and writing, and they make these spaces regularly. Even if we closed down every school library in the nation, kids would find a place to get together to study, talk and hang out. So why not keep the school library? Why not a place where there are books, computers, paper, pencils, printers and most importantly credentialed school librarians to help them when they need it? When educators envision the school of the future, they regularly ignore the school library. Poetic visions of these futuristic schools – some of which are being created right now – include designed spaces where students drop in between their classes. These spaces could be a cafeteria-like place, a study center, a ‘teen hangout’ resting place, or a high-tech retreat for studying or for following personal interests. Again, I contend that all those things sound like just a library. In these futuristic visions I rarely read about the person the designers think will monitor, lead or develop these spaces. Have we so kept our very name – Librarian - out of the loop of future thinkers that we’re never considered to be a part of their plan? It appears so. Let’s take a look at our own library spaces as we realize that kids, like everyone, want to congregate, work together [or at least side by side], and have the resources they need at their fingertips. The best, most reliable resource they need to have in this space is their librarian – a 21st Century teacher teaching, guiding, facilitating the instruction that will help them get to where they want to go. What does that look like, really? If you have any ideas, please weight in by commenting below. A few weeks ago some colleagues and I were talking about our libraries and how long we had each been in our positions and where we had worked before when we started talking about the changes we all had made when we first walked through the doors of our different library jobs. Invariably we each first looked around at the physical space and measured the changes we’d make right away usually centering on making the space “ours”. That would mean moving desks, creating bulletin boards, and even changing the arrangement of shelves when they weren’t bolted down to the floor. It was in mid-discussion that someone asked “what if we were to walk through our doors today – as if we were the brand new librarian. What changes would we make today? I thought of this as an incredible challenge to take back with me to school the following Monday because while I have made some great changes, I knew that it still wasn’t where I’d like it to be yet. And so…what if I were just hired - what would I see and what would I change right now to make this library say what I want it to say about learning, teaching, searching, creating, and inviting students and teachers to join in on all those things? So in unlocking the door on that ‘first’ day and walking around I noticed that the librarian’s desk was sitting in a back room, the shelves were placed in a very neat row but were totally uninspiring, and the chairs are way too big. Why is this so important in this day and age when we are more often taking the library into the classroom and into other learning spaces. I absolutely applaud this trend and value it as an extension of the physical space we call ‘the library’. But that human need to gather together for social, emotional and educational engagements demands, in my mind, that we create and nurture a space for these activities to take place. The library, with all it’s resources and most importantly, the librarian there to participate as a teacher in those social, emotional, educational and creative pursuits indeed makes the library the most important classroom space in the school. Our job is to nurture that space in such a way that every time we walk into a classroom to work alongside our teaching colleagues we ‘bring the library’ with us. And when it’s lunch time, or study hall, or tutorial or after school time, students and teachers know that they can congregate in the library to continue their studies, ask the questions, create their presentations, and build their skills with the help and guidance of their librarian. I’ve started working with a local company to make a new reference desk out in the middle of the room, we’re creating new bulletin board displays; we’re purchasing an interactive whiteboard for easier instruction. These are the first ‘new steps’ we’re taking to make changes to our space. Next up: taking a look at our instruction. BTW: Anyone want to buy some 1 ½ size chairs? At a district Technology Committee meeting we were divided into partner groups to brainstorm about what ‘best practices’ we might look for in using technology in the classroom. My colleague Doug and I had been struggling with trying to identify just what good technology teaching looks like and how to best accomplish the learning goals we might have for our students. When a child is handed an Amish doll, he/she gets to decide what the doll’s face looks like, is he smiling today? Does she have blue eyes like me or brown eyes like you? One day they are blue, and the next day they’re brown but maybe they turn blue after she eats blueberries. That doll can be whatever the child wants it to be – mother, father, teacher, doctor – at any given moment as the play progresses. The Amish doll. A perfect metaphor for learning. – if we give our students the tools, the outlines, the forms, the basic shapes; then they can fill in the ‘faces’. In terms of technology: teaching with technology; not “teaching technology” is the goal. It. Is. So. Simple. We were tasked one time to visit classrooms and ‘drop in’ to see what role technology was playing in any given day. It was sort of a ‘snapshot’ of a day. The group fanned out to different school sites, different classrooms and reported back after a few hours of observation. The task: observe technology in use. It was during our reporting out to the group that our Amish Doll metaphor took shape. Our favorite lesson used no technology at all at the point we observed the class. Students in the 4th grade were in groups and were reporting to each other about books they had read. Each was assigned a role and each had a job to fulfill within their roles related to the book talking. We saw engaged students on task working together. Upon our return we thought about why that lesson was so compelling – it had given each student the ‘outline’ for what needed to be accomplished and then let them use their creativity, their prior knowledge, their content [derived from their reading] and their skills to bring it all together in a formal discussion. The “Amish doll” approach gave them the form but not the steps. While we might think that the very term “Amish doll” is the antithesis of “technology” it actually has more to do with how we design our lessons rather than whether we’re using technology. That same book-talking lesson could have been accomplished using blogs, wikis or google docs. The students could have used Voice Thread and images they created to post their book discussions or Animoto or any of the hundreds of 2.0 tools. It’s about the simplicity of lesson creation – giving students the form, the parameters and the content they need to learn… and then letting them invent their own path to accomplish that learning. As we all grow older, wiser, and more experienced, it’s crucial for us to remember that the mindset of our students is changing. The references we make in class can easily be misconstrued, misunderstood, or more likely just “go over our students’ heads”. Putting things into a historical context as we teach will not only make the lesson more meaningful, but can also give us a way to liven up a lesson. The unveiling of this year’s “Mindset List,” created each year by Beloit College’s emeritus director of public affairs Ron Neif and English Professor Tom McBride, marks the “cultural touchstones that shape the lives” of students entering college this year. The things that generally piqued my interest on these lists are those that have to do with language. This year’s #6 is: “they ‘swipe’ cards not merchandise.” When did that change happen? I guess I wasn’t paying attention to the impact the invention of the debit card would make, bringing us all into the grocery store without cash or checks. #74: “PC” has come to mean Personal Computer, not Political Correctness. This has some poignancy for us all as Steve Jobs, CEO of Apple, INC steps down from his position due to poor health. Because of his role in changing all our lives, we now have students who research using their small ‘smart’ phones anywhere and anytime. We also have labs in schools with small computers that fit on our laps. And so, in honor of Steve Jobs, I went up into my attic and brought down our very first useable personal computer [I don’t count the TRS-80]: a MAC SE. I dusted it off, went through those funny old files from when my children were little and created things using Print Shop and hypercard, and took it to school to put out as a “hands-on” display. It sat on the circulation counter for the day and drew the attention of many students who stopped long enough to play "maze" or "bricks" or a number of other games that came with the original. Simple as they are, these games held the attention of many kids who challenged their friends and had a lot of good fun. They marveled at the square mouse with 'mouse balls' and the black and white monitor. We have a whole new set of ‘cultural touchstones’ to give to our youngest students who will go through the school system needing guidance and instruction by their school librarians on how to ethically and efficiently use those tools. I’d love to know what references you’ve made in your classroom or library that has gone above your students’ heads or been misconstrued because you’ve taken for granted that younger generations understand in the same context that they do. We all have a few. Please share your experience with me in the comments below. Connie Williams is always growing older but possibly really never becoming mature...Which is an important trait for a high school librarian! You can contact her via email, or leave a comment below.